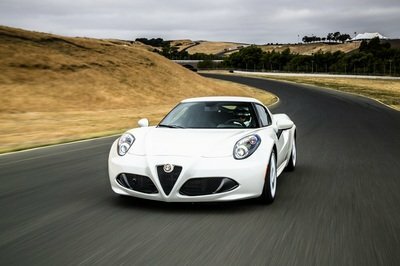 So what can European customers look forward to with the Option Pack? The short answer is the Quaife mechanical limited-slip differential. 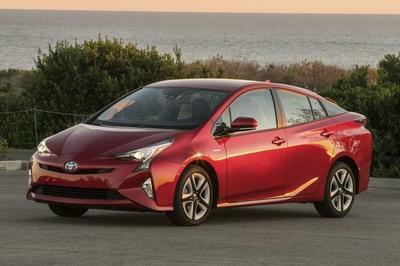 It may not sound flashy on the surface, but that’s the unquestioned headline piece of the pack. For those who aren’t familiar with its importance, the limited-slip differential’s ability to improve the Focus RS’ traction in corners by adjusting the amount of torque sent to the two front wheels is absolutely critical to the hot hatch’s overall handling. Having this Quaife LSD in tow makes the Focus RS even more fun to drive than it already is. 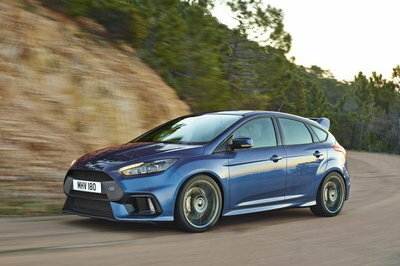 That’s why it’s important and that’s why a lot of people have been clamoring for Ford to put one in on the hot hatch. The good news is that the Blue Oval finally listened to those calls. 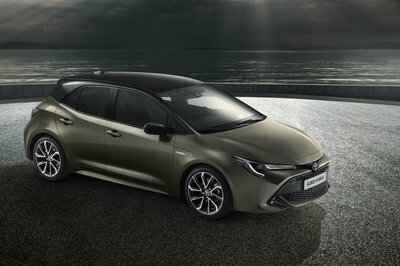 In addition to the LSD, European customers can also look forward to a number of cosmetic upgrades that are included in the Option Pack. The Nitrous Blue paint finish is in there, as are a handful of matte black pieces for the hot hatch’s roof, mirror caps, and rear spoiler. 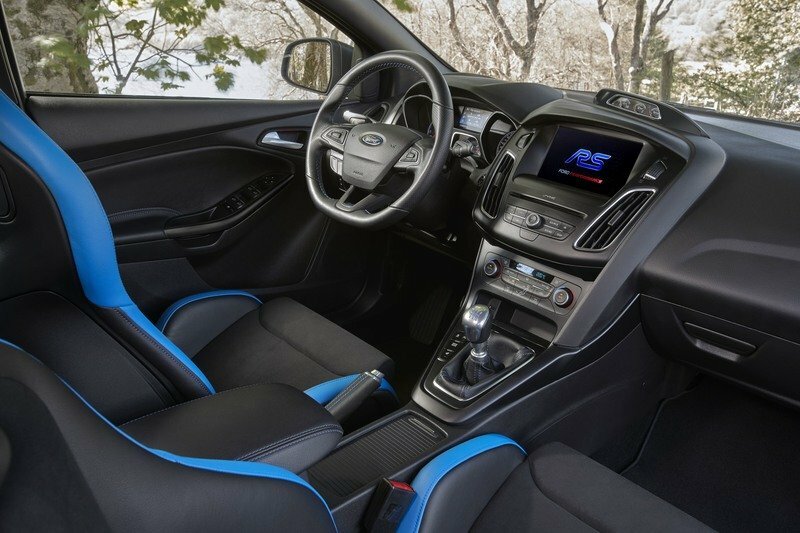 Throw in a new set of 19-inch, low-gloss black wheels with RS center caps, and four-piston Brembo brake calipers and you get enough upgrades to make the Euro-spec Focus RS look the part of its North American counterpart. Conspicuous by its absence though is the Race Red paint finish that’s available on the Focus RS Limited Edition. Guess you can’t have it all, can you? 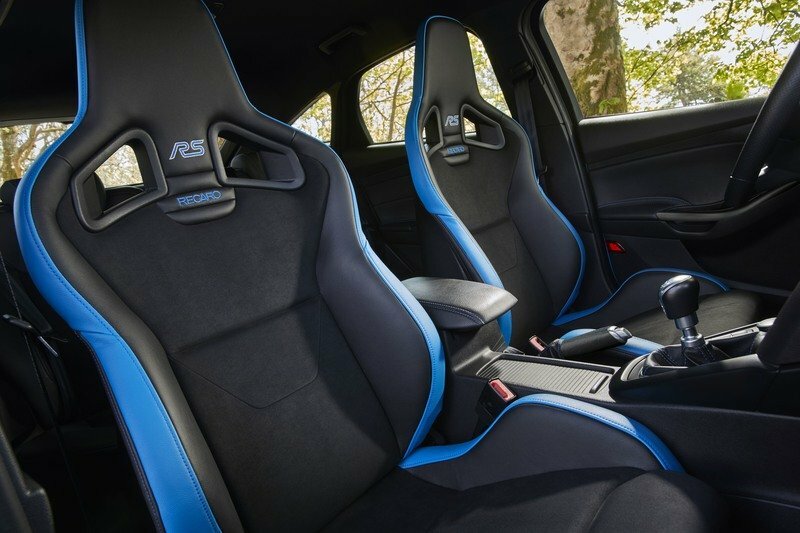 Now let’s move to the interior where there’s really just the two-tone Recaro sport seats dressed in Nitrous Blue and black leather to speak of. 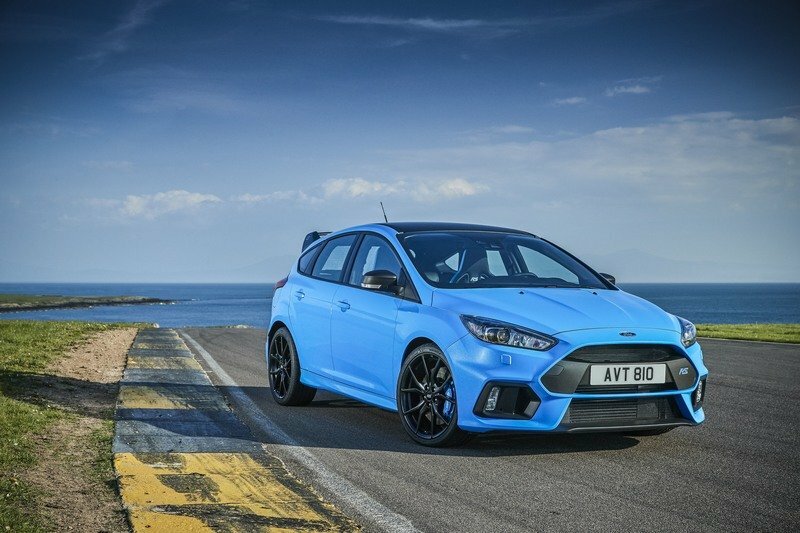 Powertrain features remain the same too as the Focus RS is still powered by a 2.3-liter turbocharged four-cylinder that produces 350 horsepower and 350 pound-feet of torque. 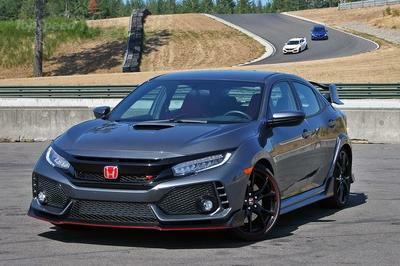 Combine that with a six-speed manual transmission that sends all the power to a torque-vectoring all-wheel-drive system and you get a hot hatch that’s capable of accelerating from a standstill position to 62 mph in 4.7 seconds on its way to reaching a top speed of 165 mph. 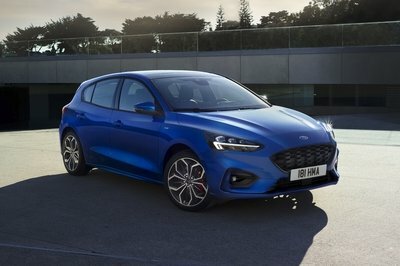 Overall, it’s a pretty good alternative for European customers who aren’t getting their hands on the Focus RS Limited Edition. With the exception of a few more features on the LE’s part - carbon fiber trim on the door handles, handbrake lever, and turbo boost gauge and the RS2 option package - the Europe-bound Option Pack provides a lot of what makes the Focus RS Limited Edition so special. 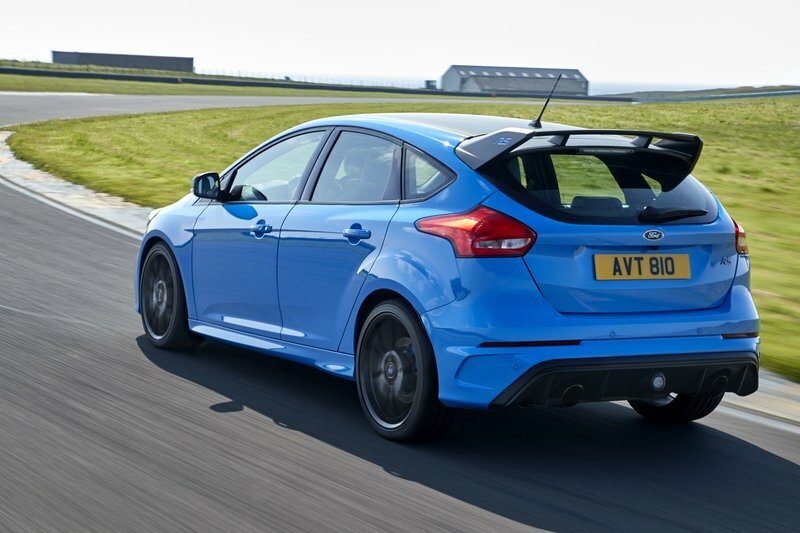 It’s not one by name, but when you’re behind the wheel of a Focus RS with the Optioin Pack installed on it, it might just as well be.